Ever since starting the 2005 reboot of Doctor Who earlier this year, I have been a super fan boy to the series. It’s great! So great, in fact, that I may actually purchase cable through the devil (Time Warner) soon so that I can watch the rest of season six as it airs live. That aside, after catching up and having this break in the series this summer, I have tried to go back and watch some of the classic series serials. The classic series spans some 600+ episodes, so I am sure it will be many years to come, if ever, for me to finish it; however, I am on a quest to at least watch serials of all the eleven doctors, so that I can see how each respective actor handled the role. So far, I have seen serials with first, third, fourth, fifth, eighth, ninth, tenth and eleventh doctors. Some of the episodes included regenerations, so I have actually briefly seen Colin Baker and Sylvester McCoy in the role as well. Anyway, for those of you who don’t know, Doctor Who is about a Time Lord (alien) who travels through time and space in a machine that has stuck on the look of a 1960s police box called the TARDIS (Time and Relative Dimension in Space). The original series ran in serials from 1963-1989 and encompassed the first through seventh incarnations (he regenerates when he dies into a new form that retains some basic traits and memories, but wholly new personalities). 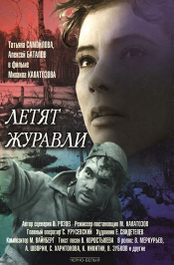 Following the end of the original series, there was a US/UK joint effort at rebooting the series in the form of a television movie; this is the movie in question, and it was released in 1996. Due to many Americans being unfamiliar with the classic British show, it received abysmal reviews in the US and no further episodes were made. In 2005, the series rebooted with the ninth doctor and continues to this day, currently with the eleventh incarnation portrayed by Matt Smith. The television movie here up for review begins with the seventh incarnation of the Doctor, Sylvester McCoy, transporting the remains of longtime enemy and fellow Time Lord, the Master, back to their home planet of Gallifrey. The Master’s spirit, though locked and concealed, manages to escape the box causing the TARDIS to spin out of control and “crash land” in San Francisco in 1999. When the Seventh Doctor exits the TARDIS, he is shot by a gang of hoodlums chasing down another Asian hoodlum, Chang Lee (Lee Jee Tso). The Doctor is rushed to a local hospital and, while in the ambulance, the Master’s spirit begins the process of taking over a temporary body; this being the body of the EMS employee. In the hospital, because of his alien anatomy, heart surgeon Dr. Grace Holloway (Daphne Ashbrook) accidentally kills his seventh form on the table. This sets the regeneration process in motion until the Doctor regenerates into his eighth form, played by one of my favorite (and most underrated) British actors, Paul McGann. A bit amnesiac from the regeneration, the Doctor has to remember exactly who he is and starts a friendship, and slight romance, with Dr. Holloway who becomes his companion for this movie. The Doctor has to stop the Master from destroying the fabric of the universe and stop the Master from taking over the Doctor’s body, since the Master’s temporary human body can’t handle the soul of a Time Lord. Compared to the lower budget effects of the original series, this television movie is extremely high tech. The camera moves, direction and editing are all much better than many of the older serials, just because of larger budget. Unfortunately, the story isn’t as good as it could be. It is oddly almost like a Terminator meets Doctor Who, as the Master in human form (played by Eric Roberts) is very reminiscent of T-1000. I also hated the acting of Eric Roberts in this role, it was just too over-the-top and campy for me. Yet, the worst actor in the lot, I think is Lee Jee Tso; he is just awful. However, I liked Daphne Ashbrook as Dr. Holloway and actually really enjoyed Paul McGann as the doctor! It’s a shame the script wasn’t better and that he didn’t have further chance to solidify himself in the role after this one televised appearance. Furthermore, I have no idea why they allude to the fact that the Doctor is half human; it does nothing for the story and has never been alluded to before or after. I just pretended that they didn’t say this about the Eighth Doctor, he is all Time Lord in my mind and that helps me enjoy the film more. All complaints aside, I did enjoy the movie. Yes, it could have been better, but it wasn’t a train wreck, especially for any true Doctor Who fan. 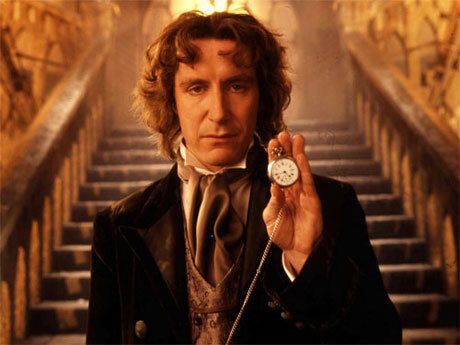 There are many nostalgic moments and lots of inside “jokes” for fans, and like I said, I really enjoyed Paul McGann as the Doctor. Then again, Paul played in my all-time favorite British comedy, Withnail and I. So, maybe I’m a bit biased. Have you seen much of the ‘Classic Who’? Are you aware of the Big Finish audio adventures? I haven’t seen a plethora of Classic Who, but have seen the full Dalek serial with Hartnell; Mind Robbers with Troughton; three or four serials with Pertwee; three or four with Baker; Caves of Androzani with Davison and a couple a piece for C. Baker and McCoy. I wanted to get a taste of each of the Doctors portrayal of the character and am still slowly moving through classic Who – there are so many serials!! There is a post here of all the Doctors ranked in my opinion. I do have some of McGann’s Big Finish adventures actually!! Funny you mention the Big Finish stuff, because I haven’t listened to an episode yet, but was going to start the first one today haha.